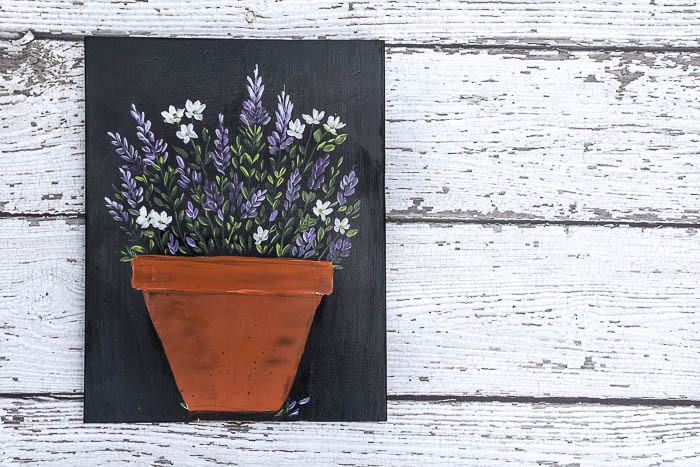 How to paint lavender and daisies in a terra cotta pot using acrylics. This is the second in a three part series of flowers in a terra cotta pot. I use lavenders and purples but you can use any color you choose. 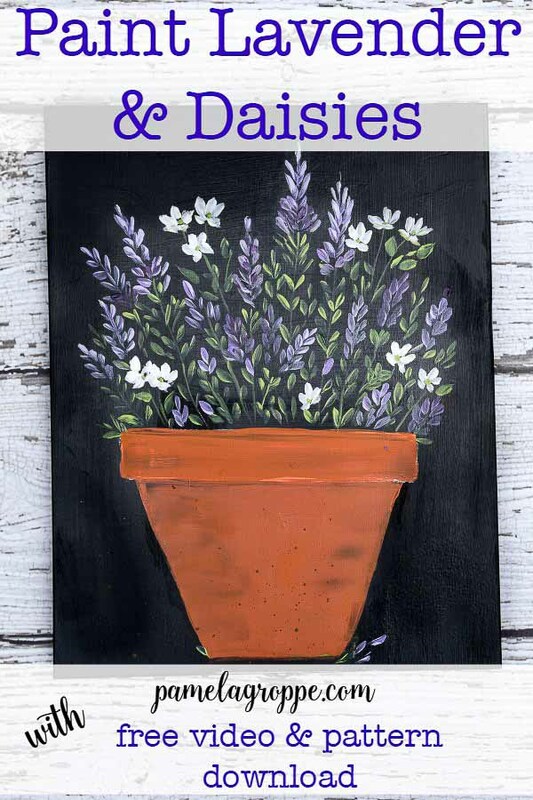 How to paint lavender and daisies in a terra cotta pot is the second in my 3 part series for flowers in a clay pot. The step by step for painting the lavender is here and I show you again in my video. The complete painting instructions and link to a pattern for the terra cotta pot is HERE. The step by step photos in this post are for the Marguerite Daisies since I have step by steps of the other flowers in different posts. 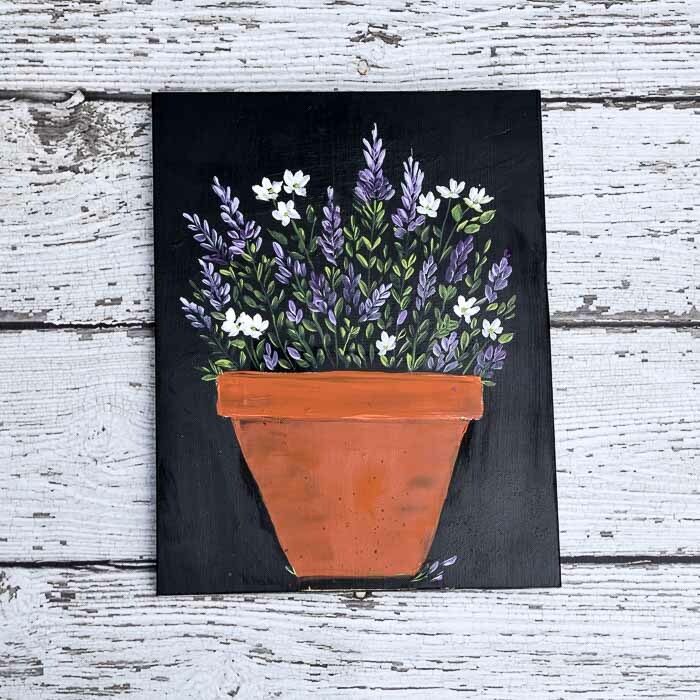 The video at the end of this post shows me painting the lavender and the daisies in the clay pot. For the daisies on the dark surface I used Wicker White but I did this demo in green on the white paper for obvious reasons. 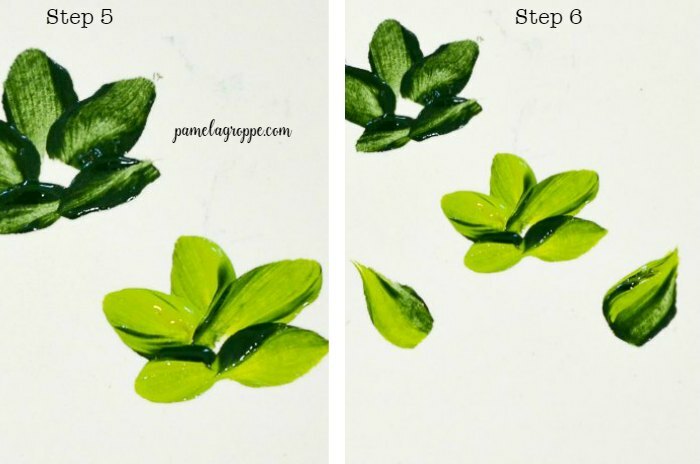 Load your #6 flat brush with your paint, make a petal tear drop stroke towards a center point. Put a dot as your center if it helps. That is your first daisy petal in the top middle. Next reload your brush if you need to and make another tear drop petal stroke coming from the left side of the middle petal towards the center point. Do the same on the other side of your center petal. Under the three top petals make a chisel stroke horizontally. Make another for a fifth stroke. These chisel strokes make a shorter petal look. 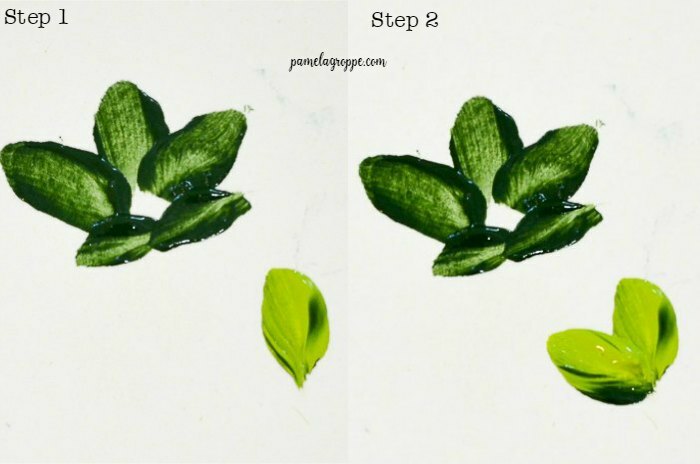 The last two strokes are small slider leaves made with the same brush. 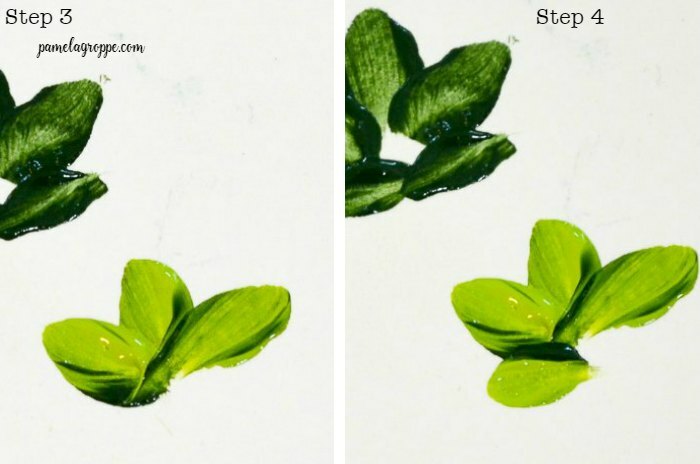 These are the leaves for the daisies in the Lavender and Daisies in a Terra Cotta Pot painting. I have a pattern available for free in my Subscribers only Resource Library. My gift to my loyal readers. Already a subscriber, then you have your password, it is included towards the end every email! Watch for the last in this 3 part series of paintings in a pot! I love your patterns and all the info you share. Thanks so much!